The True Sabbath Found in The Languages of The World. 2. They would have taught their descendents about the Bible Sabbath, and its sacredness. 3. The truth that God is to be worshiped on the seventh of each seven-day week, requires a seven-day week, even though they may have later turned to idols and left the worship of the True God. 4. As the descendents of Adam and Noah spread out all over the world, they would have carried with them the seven day week, and the seventh day holy Sabbath given by God to mankind. Many of Adam's and Noah's descendents became scoffers, however Jones reasoned, that they would still carry with them the twin truths of the Creation Week, of Genesis 1 by their keeping of the seven-day weekly cycle, and the Seventh-day Sabbath by naming the seventh day of the week in their language as the day of Sabbath rest. 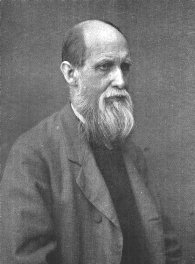 William Mead Jones decided to research a majority of the languages of the world to see if his reasonings were true. The results of his research was as he suspected and is another powerful proof, not only that the Seventh day is the true Sabbath of God, but also that the creation account in Genesis 1 and 2 is accurate, and that God is our Creator! The table above includes some of the oldest languages known to man. One of these, the Babylonian language, was in use hundreds of years before the Hebrew race was founded by Abraham. That language designated the seventh day of the week as "sa-ba-tu," meaning rest day -- another indisputable proof that the Bible "Sabbath" was not, and is not, exclusively Jewish. Very few realize that the word "Sabbath" and the concept of resting from work on the seventh day of the week (Saturday) is common to most of the ancient and modern languages of the world. This is evidence totally independent of the Scriptures that confirms the Biblical teaching that God's seventh day Sabbath predates Judaism. The concept of a Saturday holy day of rest was understood, accepted, and practiced by virtually every culture from Babylon through modern times. 1. In the majority of the principal languages the last, or seventh, day of the week is designated as "Sabbath." Another interesting fact is that the words in the original languages that are used to designate the seventh day of the week as the "Sabbath" have continued to be very similar while the other words have been so changed over time that they are unintelligibel to people of other language groups. This another proof that the Sabbath and the words used to designate the seventh day of the week as the "Sabbath day" originated at Creation in complete harmony with the Biblical record found in Genesis 2:1-3. The institution and observance of God's Sabbath is recorded in Genesis 2:1-3. The Sabbath was established long before Moses in no special connection with the Hebrews, but as an institution for all mankind. Not one of the Ten Commandments is of merely racial significance. The seventh day was observed from creation. The seventh day is the ONLY Sabbath day commanded, and God never repealed that command. Nowhere in the New Testament is there the least indication that God's holy Sabbath day was set aside. Even after Jesus Christ was risen from the dead the Bible tells us that the sabbath day is the seventh day of the week -- Saturday (Mark 16:1,2). Nowhere in the Bible is the first day of the week referred to as being the Lord's day. This expression "Lord's Day" points to the seventh-day Sabbath in both the Old and New Testaments (Exodus 20:10,11; Isaiah 58:13; Matt. 12:8; Mark 2:28). Even after Jesus' death his disciples rested the sabbath day (the seventh day) according to the commandment (Luke 23:56; Exodus 20:10). John chapter 20 states that Jesus' disciples were assembled on the first day of the week for fear of the Jews. They were not there to celebrate the resurrection of our Lord even though they knew he was not in the tomb. They did not believe he had risen (Mark 16:11-14). Acts 20:7 is the only record of the disciples breaking bread on the first day of the week. According to Acts 2:46 the disciples broke bread every day of the week. You may read the Bible from Genesis to Revelation, and you will not find a single line authorizing the sanctification of Sunday. However rigidly or devoutly we may spend Sunday, we are not keeping the Sabbath. The Bible is quite silent on Sunday sacredness, so "Bible Only" Protestants contradict themselves by observing it as a replacement for the Sabbath. There is no Scriptural evidence of the change of the Sabbath institution from the seventh to the first day of the week. The Sabbath was founded on a specific, divine command. We can plead no such command for the obligation to observe Sunday. The reason for which the commandment itself was originally given, namely, as a memorial of God having rested from the creation of the world, cannot be transferred from the seventh day to the first; nor can any new motive be substituted in its place, whether the resurrection of our Lord or any other. It has been said that Christians don't have to keep the seventh day sabbath because Exodus chapter 31 and Ezekiel chapter 20 says that the sabbath was a sign only between God and the children of Israel. Well, aren't Christians the children of Israel by grace through faith? The apostle Paul said, Know ye therefore that they which are of faith, the same are the children of Abraham. (Gal. 3:7). Jacob, whom God named Israel, called Abraham my father Abraham (Gen. 32:9). The children of Israel are the children of Abraham, of Isaac, and of Jacob (Ex. 3:16). Paul said that we were graffed in among them (Rom. 11:17) as heirs of the kingdom which he hath promised to them that love him (Jam. 2:5). The Lord said, It is a sign between me and the children of Israel for ever (Ex. 31:17). This extends to the New Testament believer, because Paul said, For ye are all the children of God by faith in Christ Jesus.... And if ye be Christ�s, then are ye Abraham�s seed, and heirs according to the promise. (Gal. 3:26,29). But some might ask, If we have to keep the fourth commandment, the seventh day sabbath, then that would mean that we have to keep it exactly as it was kept in the Old Testament, 'let no man go out of his place,' 'kindle no fire,' etc. This mind-set goes back to the confusing of the two distinct sets of Old Testament laws. The ten commandments were in effect in the days of Jesus and in the days of the apostles. Luke tells us that after Jesus Christ was crucified, his disciples rested the sabbath day according to the commandment. (Luke 23:56). The disciples kept the seventh day sabbath after Jesus said It is finished and he died on the cross and the veil of the temple was rent in twain from the top to the bottom, meaning that the old covenant has past away and the new covenant is begun and the way into the holiest of all is now made manifest by the appearing of our Saviour Jesus Christ, who hath abolished death, and hath brought life and immortality to light through the gospel: (John 19:30; Matt. 27:51; Heb. 9:8; Luke 23:56; II Tim. 1:10). When Jesus came on the scene he explained the ten commandments in a more perfect manner, as did his apostles. In the Old Testament, both the man and the woman who committed adultery were punished with death (Lev. 20:10). A man was not put to death for simply looking on a woman with lust. In the New Testament, however, Jesus tells us That whosoever looketh on a woman to lust after her hath committed adultery with her already in his heart. (Matt. 5:28). Does this mean that the seventh commandment was abolished? No. In the Old Testament, when someone committed murder they were put to death (Lev. 24:17). People were not put to death if they simply hated someone. In the New Testament, however, the apostle John tells us that Whosoever hateth his brother is a murderer (I John 3:15). Does this mean that the sixth commandment was abolished? No. In the Old Testament, every one that defiled the seventh day sabbath was put to death (Ex. 31:14). In the New Testament, however, Jesus and his disciples did things that were considered unlawful to do on the sabbath day, such as healing the sick and plucking ears of corn (Matt. 12:1-14; ). Does this mean that the fourth commandment was abolished? No. Jesus and his apostles did not abolish these commandments. They simply shed more light on them. The acts of healing the sick and plucking ears of corn on the sabbath day were allowed because Jesus said That the Son of man is Lord also of the sabbath. (Luke 6:5), and it is lawful to do well on the sabbath days. (Matt. 12:12). But some might ask, Doesn't Revelation chapter one verse ten tell us that the Lord's Day is the first day of the week? No, it does not say that at all. Nowhere in this verse, nor in any other verse in the Bible, is the first day of the week referred to as the Lord�s day. This expression, Lord's Day, points to the seventh-day Sabbath in both the Old and New Testaments. But the seventh day is the sabbath of the LORD thy God. (Ex. 20:10). In Isaiah chapter fifty-eight verse thirteen the Lord calls the Sabbath my holy day. The Lord's day is the day of which Christ is the Lord: He says He is Lord of the Sabbath day (Matt. 12:8; Mark 2:28). Again, some might ask, Doesn't first Corinthians chapter sixteen verses one through three instruct us to have church meetings on the first day of the week? No, these scripture verses say no such thing. In first Corinthians chapter sixteen Paul is telling the Christians at Corinth to collect money and necessities which were to be sent to the poor saints who were in Jerusalem. It was not a collection for the visiting or presiding pastor. Paul speaks on this same subject again in second Corinthians chapter nine where he referred to the distributing to the necessity of saints as the experiment of this ministration (see 2nd Corinthians 9:1-13). 1) This is the only record of the disciples breaking bread on the first day. 2) They broke bread every day of the week according to Acts 2:46. 3) The account of this meeting says nothing about the Sabbath. 4) This was a special meeting held because Paul was about to leave on a journey. 5) The meeting is mentioned by Luke because of the restoration of a young man who fell and was killed. Are there any New Testament verses enjoining the commemoration of Christ's resurrection on the actual day on which it occurred? No! Is Sunday ever called in the New Testament the Day of Resurrection No! It is consistently denominated the first day of the week. Was the Lord's Supper celebrated exclusively on Sunday in remembrance of Christ (Luke 22:19)? No! The New Testament tells us that it was celebrated at intermediate times and on various days and in different locations, from house to house (I Cor. 11:18,20,33,34; Acts 2:46). Moreover, the rite proclaims, primarily, the Lord's death till he come (I Cor. 11:26). Strictly speaking, the disciples commemorated the Lord's death, not his resurrection. The book of Acts, which provides the earliest historical account of the church, gives no hint that the acceptance of the Messiah caused converted Jews to abandon the regular worship time and places of their own people. Peter and John, for example, after the Pentecost experience, went into the temple at the hour of prayer (Acts 3:1). There are ample indications that seventh day sabbath attendance at the temple and synagogue was still continued by Christ's followers, though private meetings were also conducted. The synagogue is, in fact, the place of worship most frequently mentioned as attended not only by Christ and his disciples but also by Christian converts. Paul, for example, met regularly in the synagogue on the Sabbath with Jews and Greeks (Acts 18:4,19; 13:5,14,42,44; 14:1; 17:1,10,17). Acts 13:42 says that the Gentiles besought that these words might be preached to them the next sabbath. Clearly, the apostles regularly observed the seventh day sabbath according to the commandment (Luke 23:56). After the Old Testament law of Moses was abolished, true Christians in the early church kept the ten commandments and observed the fourth commandment seventh day sabbath. If we would humble our heart as a little child and desire the sincere milk of the word, and compare spiritual things with spiritual, comparing scripture with scripture, allowing the scriptures to interpret themselves, we would lessen our chances of taking verses out of context to justify our private interpretation of scripture, and we would understand that keeping God's commandments are not grievous, but are all plain to him that understandeth, and right to them that find knowledge (Prov. 8:9; Matt. 18:4; Luke 18:17; I Pet. 2:2; I Cor. 2:13; II Pet. 1:20; I John 5:3). The ten commandments were not abolished in any way, shape or form. Jesus and his apostles expounded unto us the ten commandments more perfectly. So, the question is not whether or not the ten commandments have been done away with; and not whether or not the sabbath still stands. The question is, Are you going to be obedient and keep God's ten commandments? The Old Testament contained two distinct sets of laws  the ceremonial and purification laws contained in ordinances; and the judicial and moral laws of the ten commandments. The ceremonial and purification laws included the feast of trumpets (Lev. 23:24), the feast of tabernacles (Lev. 23:34-37), the new moons (II Chron. 8:13; Psa. 81:3), the ceremonial sabbath days (Lev. 16:29-31; 23:24,37,39), the purification ordinances (Num. 19:9,17; Luke 2:22), the law of clean and unclean foods (Lev. 11:1-47). The judicial moral laws were the ten commandments which were written with the very finger of God himself (Ex. 31:18). The ten commandments were the only set of laws placed in the ark of the covenant because it is the very foundation of God's moral laws (Ex. 25:21).